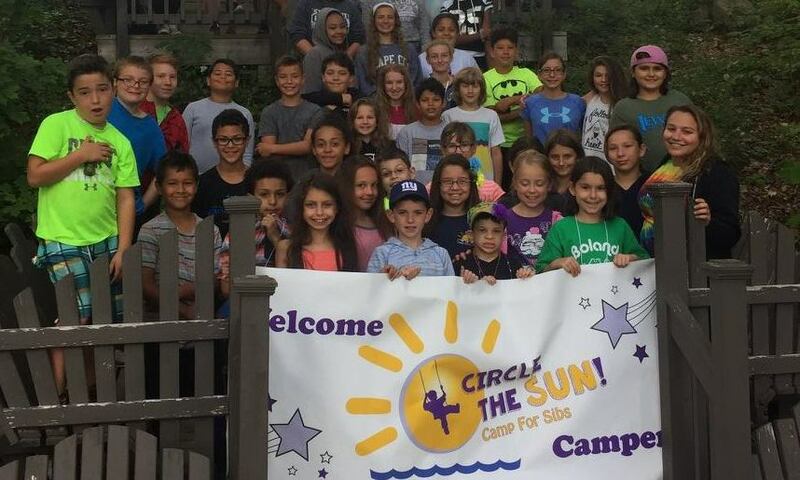 Circle The Sun -- a camp for siblings of Camp Rising Sun campers! Circle The Sun Sibling Camp is open to siblings of currently enrolled Camp Rising Sun campers who are between 8 and 14 years old. Circle The Sun takes place at the same time as Camp Rising Sun’s Camp Week and uses a separate part of the Camp Jewell campground called “Hide-Away”. Although they are at the same facility at the same time, all activities are separate. We DO watch the same spectacular fireworks show though – just from different vantage points across the lake! Circle The Sun is staffed by hand-picked volunteers, just like Camp Rising Sun. Campers will participate in a variety of traditional camp activities — archery, horseback riding, rock climbing, arts & crafts — as well as some extra special fun surprises! Registration for Circle The Sun 2019 is not yet open. Check back in the early summer! Bus transportation to and from Circle the Sun is available from Providence, RI, Niantic, CT, and Milford, CT. Please contact Tina Saunders (tina@camprisingsun.com) for more information about bus transportation.